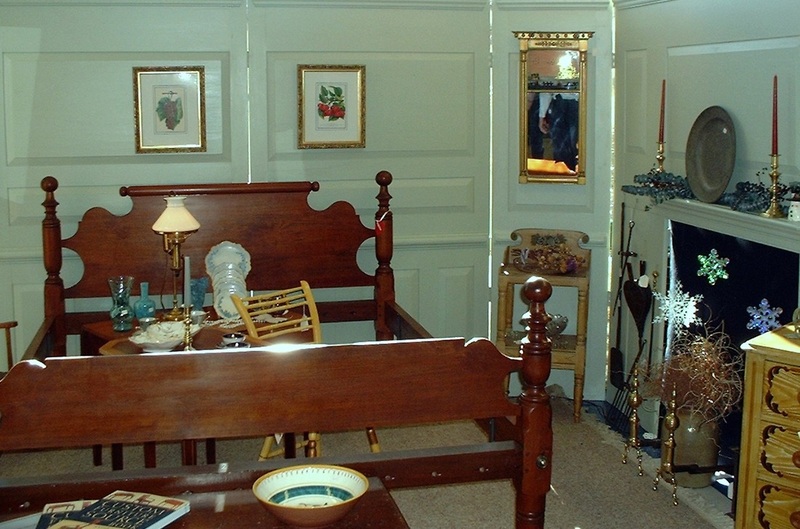 Beautiful copies of period style beds from the 18th and 19th centuries are custom made to order by Stephen H. Smith. The single greatest advantage to having a period bed copied is that it can be done so that the bed that Mr. Smith creates for you will accept modern bedding. Some of the more popular choices seem to be tall-post Hepplewhite field beds, elegant pencil post beds, and robust neo-classical examples with scrolling headboards and turned blanket rolls. 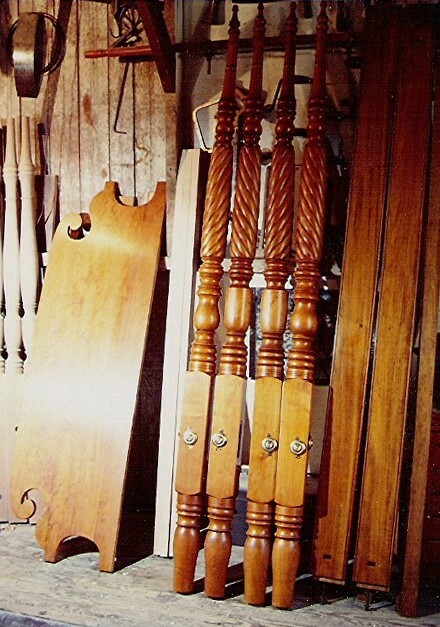 Antique bed posts can be used, when available, if requested. Wood choices include cherry, mahogany, maple, tiger maple, flame birch, and walnut. Pricing varies with each of these options; please request a price quote. A cherry Sheraton style bed in standard double size with turned feet. 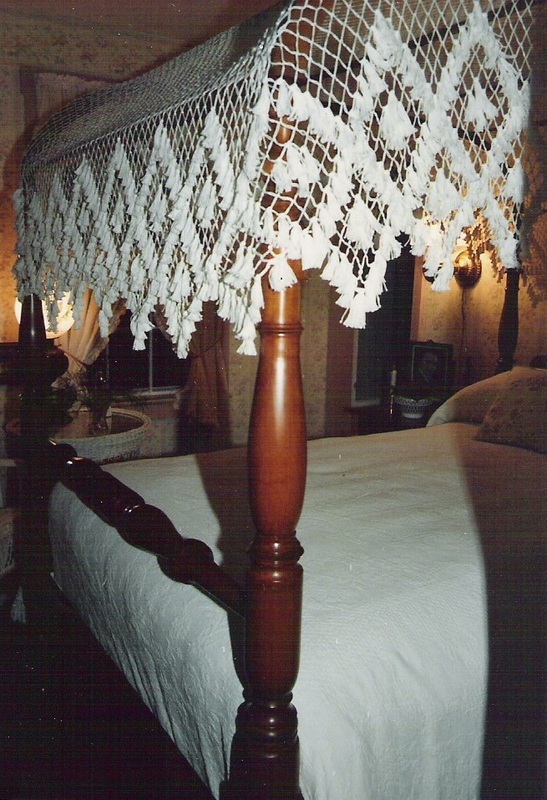 A copy of an American Empire style rope carved bed with scrolled headboard, made of cherry. Cherry Hepplewhite field bed in background. This is a king-size bed made of mahogany. The headboard is about 24" deep and made from one board. A cherry pencil post bed with a linseed oil finish. 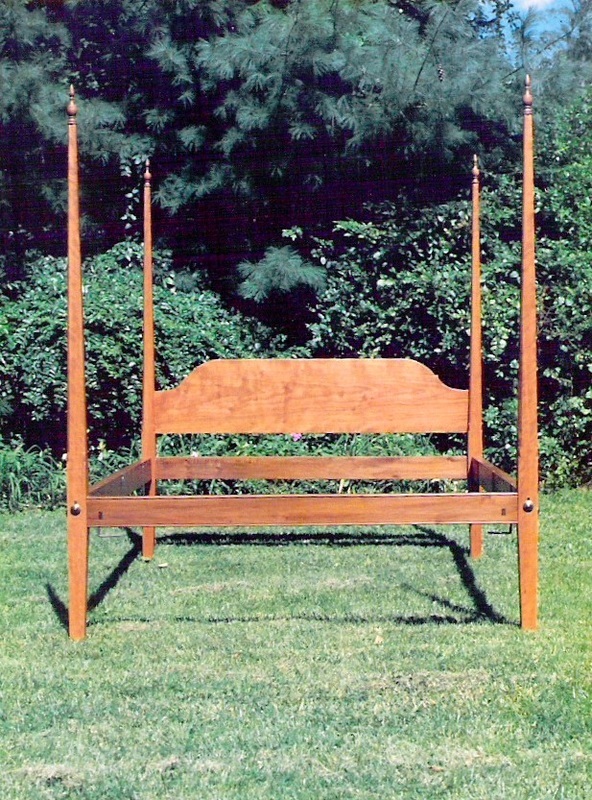 This Sheraton 5' tall-post bed has an arched canopy frame, and a flame-birch headboard. There is a small hired man's bed set up within it's rails. 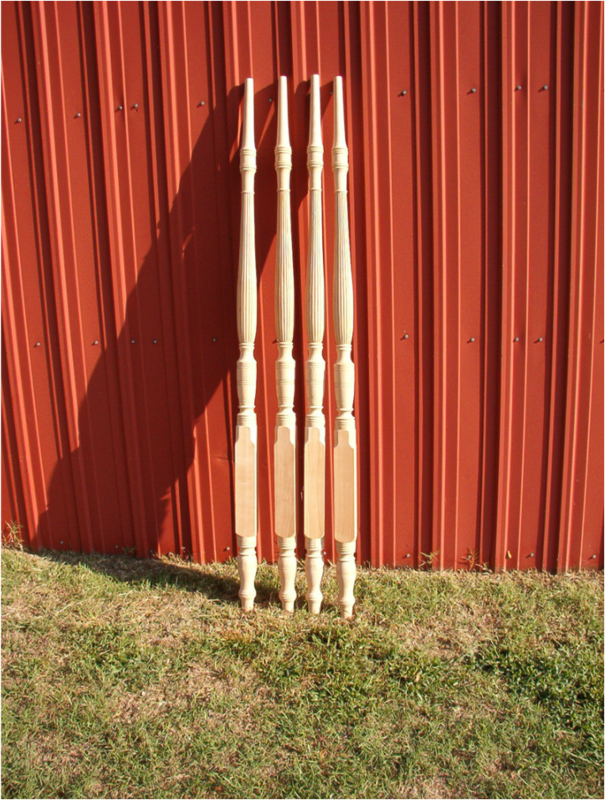 A set of 6.5' tall Sheraton reeded posts, which will become a queen size bed. These posts will be topped by a turned finial. 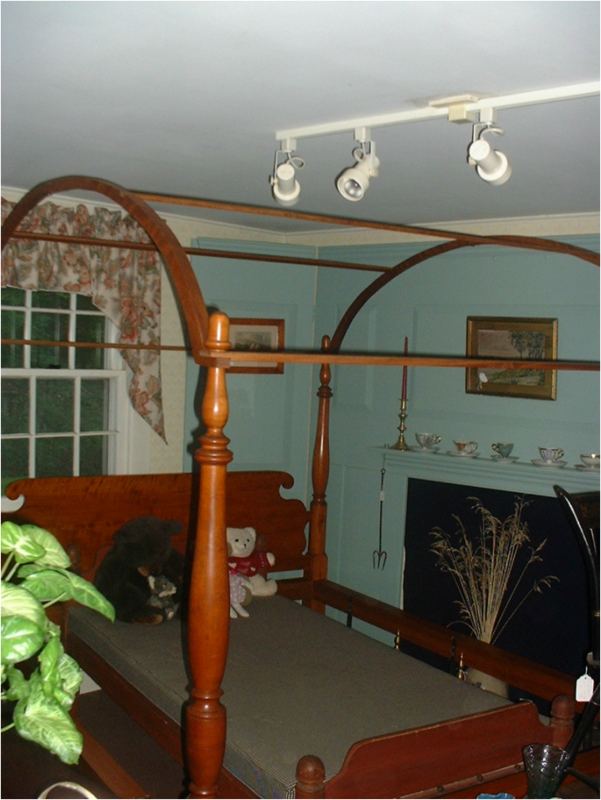 An antique cannon ball bed with period posts and new rails made to accept modern queen size bedding. This bed had file marks on all surfaces of each post, which was quite interesting. Cherry tall-post bed with low foot posts in king size.